The silicon age of computing is thought by some to be edging towards a limit of the computational power we can give to new computer chips, this silicon ceiling if you will is due to the fact that there is a limit as to how small you can shrink the billions of tiny transistors that make up today's CPU’s. This limit has been apparent for decades and around the world scientists have been looking to come up with ways to overcome these boundaries with totally new methods of computing, one of these methods is quantum computing which is without doubt one of the most exciting yet at the same time truly mind boggling technologies in the world today. Quantum mechanics is the physics of the incredibly small on the scale of atoms and below. The laws that govern this atomic and sub-atomic world are quite different to the ones we see with the naked eye in the world around us, these laws and the at times counter intuitive behaviour of this quantum world is what makes quantum computing such an awe inspiring and immensely powerful technology. 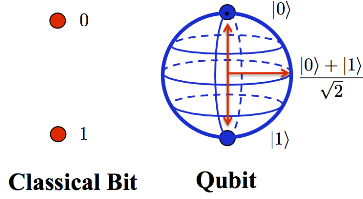 All traditional computers today operate using binary bits (or switches) which can be either in a 1 (on) or 0 (off) state, the beauty and the promise along with the admittedly mind boggling aspect of quantum computing is that these quantum bits (qubits) which can be a single atom or photon for example can be in either a 1 state, a 0 state or a superposition of the two (meaning any number in between or both simultaneously), this allows a quantum computer the ability to complete multiple calculations at once. A popular explanation of the benefits quantum computing can offer is to imagine a travelling salesman, he has to visit many cities in one day and wants to calculate the shortest route between them, a traditional computer would simply have to go through every possible route individually before determining which was the quickest, a quantum computer however could analyse every possible route in just one step arriving at the fastest route in one single calculation. It is in some ways an analogy of the properties of quantum superposition to imagine a coin being tossed in the air and when it lands it could be neither exclusively heads or tails as it would in the world we know, but in the quantum world it could in a sense be both heads and tails simultaneously. Canadian company D-Wave have been at the forefront of quantum computing for several years now using a method called quantum annealing and although there has been contention in that time as to whether the systems they have developed are harnessing any quantum mechanical properties, it is now widely accepted that the D-Wave systems are indeed demonstrating properties of quantum entanglement which is when two or more quantum particles become intrinsically entwined in perfect unison as well as quantum tunnelling, this is when the quantum particles are able to cross through barriers rather than having to go over or around, for example say there is a mountain between two points you would like to travel between, classically you would have to have enough energy to climb up and over the mountain, in the quantum world however the particle can pass directly through the mountain to the other side which as well as saving energy saves time. The possibilities of this technology range from helping to fight disease, the search for exoplanets, machine learning and artificial intelligence, speech recognition technology and much much more. 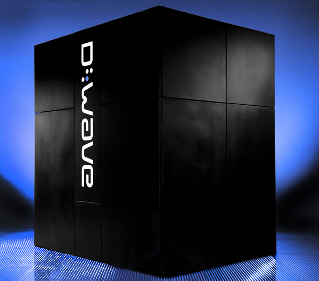 NASA & Google have teamed up to buy a D-Wave 2 machine which is believed to cost around $15million and has recently been demonstrated as 3,600 times faster than traditional computers at certain calculations, the machine itself is housed in a large case the size of a garden shed, the reason for this is to provide the D-wave 2 chip with extreme cooling to ensure the running temperature is just above absolute zero (-273 degrees Celsius), these factors ensure it is not something likely to be sitting under the office desk any time soon and perhaps the quantum computer may not be a replacement entirely for the traditional computer but I would first envisage many companies may have access to a super fast quantum computer via the cloud as a realistic next step within the next ten years. Quantum computing could dramatically alter the world we live in, the applications for this technology are vast, perhaps Quantum computers will help spawn sentient artificial intelligence perhaps they will help us solve some of the worlds largest problems such as disease and global warming, one thing I do believe is that the technology will have a huge part to play in the continued technological advancement of the human race and may open doors of possibility that just would not be feasible without the astonishing power and promise of the quantum computer. 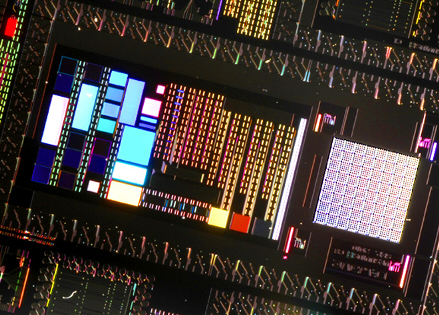 Video showing D-Wave's continual progress of number of qubits present on the various chips.